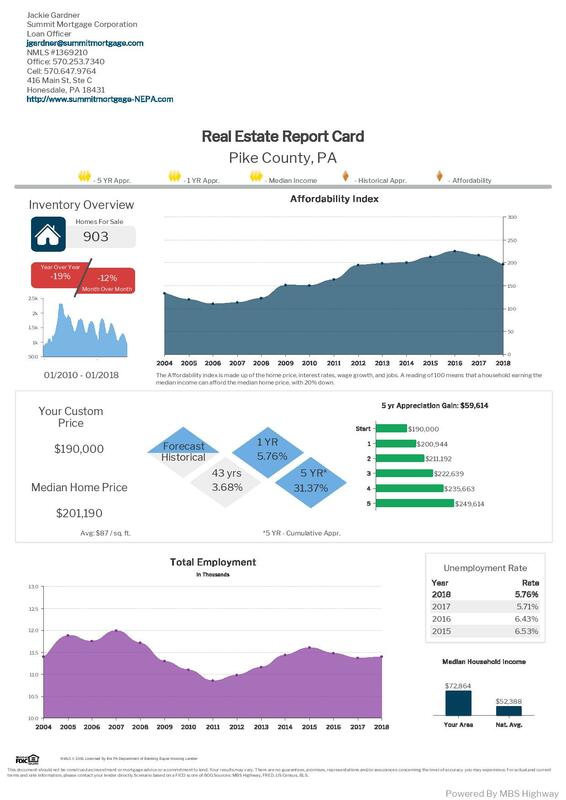 Above is the overview of the residential real estate market for Pike County. In a nut shell, employment is up, affordability has been climbing but has taken a little dip. The housing inventory is historically and dangerously low. It's supply and demand! Appreciation will continue. The compounding year over year appreciation is a primary reason to own real estate. If you are in the area, and have any questions or financing needs, feel free in contacting me.